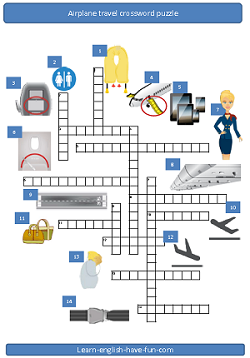 Flying provides one of the best English listening practice opportunities around. Since you already know generally what the flight attendants are going to say, you can focus on the words, phrases and vocabulary instead of concentrating on meaning. In this listening practice exercise you will listen to an American accent. You can listen to an Australian accent here. 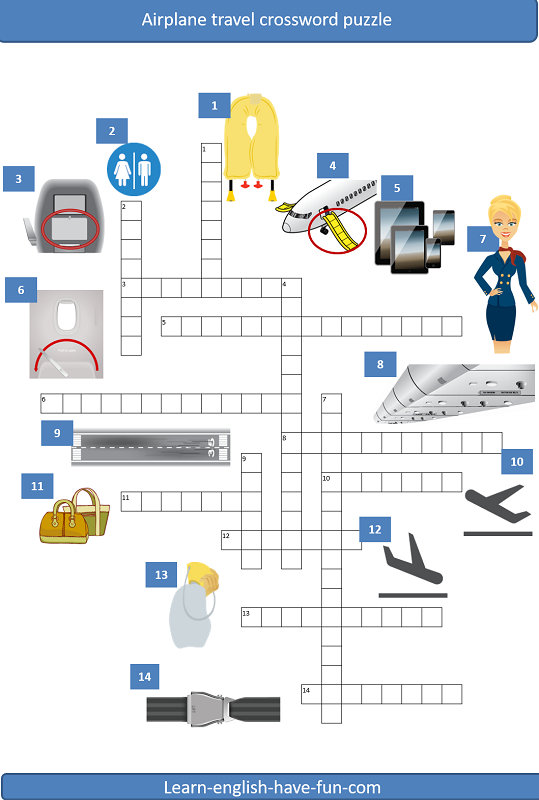 In this lesson you will also learn some vocabulary related to air travel. Please note that there are different words for the same things. For example, airplane is the same as aircraft. And, life vest is the same as life jacket. Don’t get frustrated; many of the names sound similar. If you haven’t watched the rapping flight attendant video, be sure to check it out here. It’s hilarious. Now let's get listening. You'll listen to the video twice. The first time, listen for overall meaning. After you've watched the video once, read the transcript below and try to insert the missing words. Then listen again to check your understanding. This is the transcript of the flight safety video. Read the text first and write down your answers for the missing words. Then play the video again and listen while you check your answers. Hello and thanks for flying with Virgin America. A few announcements as we begin our flight. Everyone should have a look at the (1)____________________________ that is in the seat pocket in front of you. Not only does it have pretty pictures but it has important information about the location and how to operate all exits and it explains other safety features of this airplane. Please keep your (2)________________________ fastened whenever the seat belt light is on. To be safe, we recommend your seat belt stays fastened whenever you are in your seat just in case there is unexpected turbulence. And please comply with instructions from the in-flight team with regard to the fasten seat belt signs. For the .0001 percent of you who have never operated a seat belt before, it works like this: Just insert the metal end into the (3) _________________ until it clicks. And, pull on the loose end to tighten. To open, lift on the top of the buckle. Be sure the seat belt fits low and tight across your lap and you’re good to go. There are four doors; two in the front and two in the rear. Each door has an inflation slide, which inflates when the door is opened. There are also four window (4) ________________ over the wings, also equipped with inflation slides. The slides of each door can also be detached from the airplane and used for flotation if necessary. Each door and window exit is indicated by an exit sign. There is also a path of white lights along the base of the seats that lead to red lights which mark the exits. Take a moment to look around and find your closest exit. This may be behind you. Go on, we’ll wait. It’s unlikely, but if the cabin pressure changes suddenly during the flight, (5)__________________________ will automatically drop from the compartment above your seat. If this happens, pull one of the masks down to your face and cover your nose and mouth. Slip the elastic band around your head and tighten by pulling the loose ends at each side of the mask. Then just breathe normally. Oxygen will be flowing to the mask so don’t worry if the bag doesn’t inflate. Be sure to put your mask on before helping others. And keep it on until a crew member advises you to take it off. Also unlikely is the possibility of a water landing, but just in case, a pouch containing a (6)__________________________ is located under your seat. In first class they are between seats at floor level. Take it out of the plastic bag and place the vest over your head. The strap goes around your waist and attaches with a buckle. Pull on the end of the strap to tighten. As you leave the aircraft, pull sharply on the red plastic handles to inflate. The vest can also be inflated by blowing into the red tubes at both shoulders. A water-activated locator light is attached at shoulder level. Keep in mind that your seat cushion is not a flotation device, so please don’t take it home with you. A word about compliance from our friends at the FAA. The airplane is one big no smoking zone. So you can’t smoke in the restrooms or anywhere else on the airplane. Tampering with, disabling or destroying restroom (7)__________________________ isn’t allowed by law. And everyone is required to follow the instructions from the in-flight team and comply with lighted information signs and posted placards. Okay, as we get ready to take off, please check that your seat belts are fastened, seats and (8)__________________________ are up, and your electronics are off. As the crew comes through to make a final cabin check, please let us know if you have any questions or need any help. We promise to do everything that we can to make sure you have a safe comfortable flight. Not least of which is ending this speech now. Thanks. How did you like the lesson? Was it difficult? Do you like flying? Please leave me a comment below.